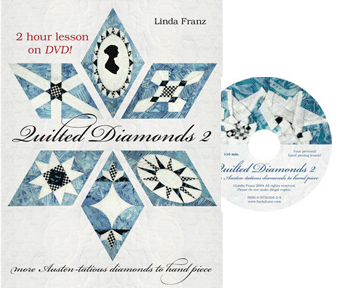 Quilt patterns with 60° shapes like hexagons, diamonds, triangles, and kites. Print hundreds of perfect shapes on fabric in a few minutes and spend your time stitching instead of basting and prepping. It's more portable and more fun. All Inklingo shapes are named with the finished size. 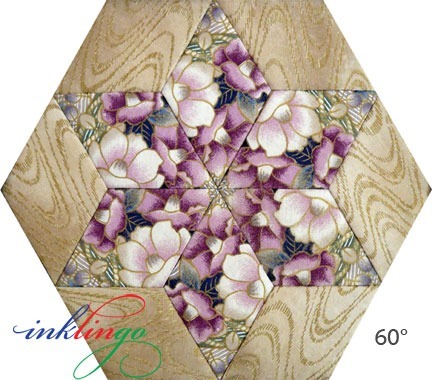 You receive the Inklingo Hexagon Quilt Design Book (PDF download) when you order hexagons! Please click on the covers for detailed descriptions. Follow any pattern or use the time you save to create exciting settings and color combinations. The design book (free with hexagon shapes) will inspire you. The extra half and quarter shapes are great for pieced hexagons, like Candied Hexagons or VariHex, or for finishing your quilt with a straight edge. It is more portable, more fun, more precise, and faster! And the stitches don't show on the front! If you want to sew by machine, choose the larger sizes. 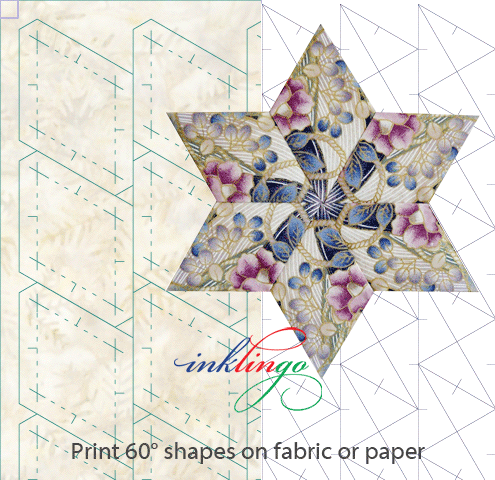 The design book includes instructions for continuous stitching by hand, precision machine piecing, and how to combine hand and machine piecing (hybrid piecing) for the best of both worlds—speed and portability. Yes, you can Fussy Cut (Fussy Print) with Inklingo. (2 minute video) This is especially popular with quilters who are making Lucy Boston Patchwork of the Crosses (POTC). 6. 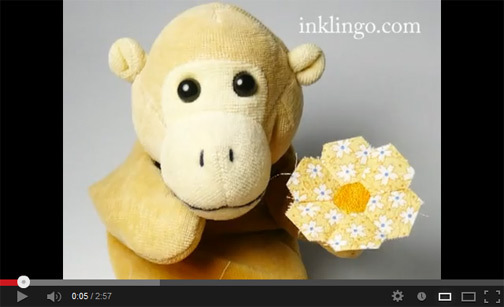 You can finish an EPP UFO with Inklingo! 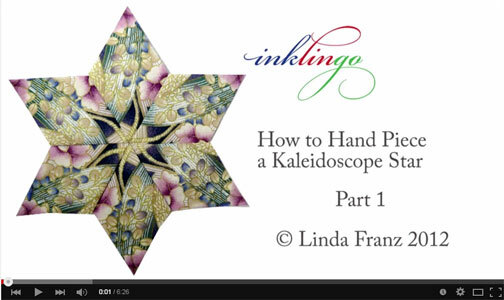 "English Paper Piecing Rescue" is one of the most popular pages on the All About Inklingo blog! 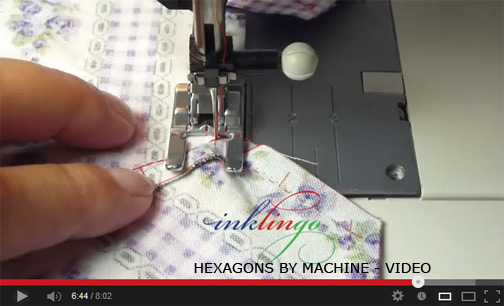 A new video on the blog gives my best tips for sewing hexagons (or any inset seams!) by machine. You can do it!